Blowout Sale! 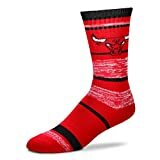 Up to 55% off on Socks at Hit The Ice Box. 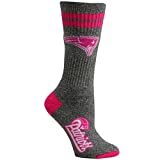 Top brands include Authentic & Officially Licensed, Freaker USA, For Bare Feet, Fore Bare Feet, & DRAGON SONIC. Hurry! Limited time offers. Offers valid only while supplies last. 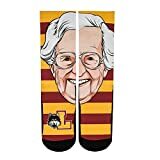 Authentic & Officially Licensed Loyola Chicago Ramblers Sister Jean Women's Crew Socks – Maroon - Fun Gift or Collectible!